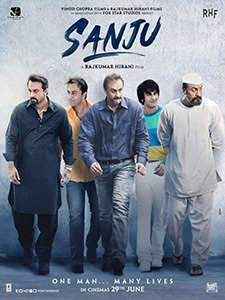 Sanju Songs Lyrics : Sanju is a 2018 Hindi biographical drama film written & directed by Rajkumar Hirani and produced by Vidhu Vinod Chopra, Rajkumar Hirani. The film is based on the life of Bollywood actor Sanjay Dutt. The film stars Ranbir Kapoor, portraying Sanjay Dutt is in lead role along with Sonam Kapoor, Dia mirza, Paresh Rawal. Sanju Songs are composed by Shantanu Moitra, Amaal Mallik.